BBA|mantra`s Entrepreneurship Notes/E-book will serve as a concise textbook for BBA/BBM/BMS/MBA and other management students and will provide a brief knowledge on various concepts of Entrepreneurship. 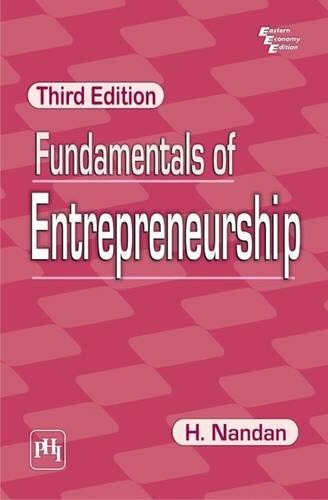 This ebook includes a concise presentation of the subject matter with the extensive use of charts, tables, and figures to help students understand the core concepts of Entrepreneurship. These Entrepreneurship notes are based on the latest syllabus of popular management colleges in India. Entrepreneurship comes from a French word `Entrependre’ and the German word `Uternehmen’ both meaning individuals who are `undertakers’ i.e. individuals those who took the risk of a new enterprise. Entrepreneurship is a dynamic activity which helps the entrepreneur to bring changes in the process of production, innovation in production, new usage of materials, creation of market etc. It is a mental attitude to foresee risk and uncertainty and do something new in an effective manner to achieve certain goals. An entrepreneur is an economic change agent with knowledge, skills, initiative, drive and spirit of innovation to achieve goals. He identifies and seizes the opportunity for economic benefits. He is a risk bearer, an organizer, and an innovator.